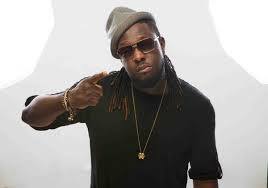 Nigerian Singer, Timaya in an exclusive interview with PUNCH announced that he's not getting married anytime soon. The Singer who already has two kids,also disclosed that he promised his baby mama that he wasn't going to have children with another woman. “I am not getting married soon. My life is a journey. My career is my journey. I didn’t lie to my baby mama when she was pregnant; I told her I wasn’t ready to get married. I never said I wasn’t going to get married. But at the moment, I am not ready. When she told me she was pregnant, I accepted the pregnancy. She told me she hoped I wasn’t going to be like other musicians who had kids from different women. I told her no. My two kids are from same woman. I know what I am doing,” he said.